We invade Canada for meetings whenever we are invited to do so. We were there in 2004,2005, and 2007 and will be there in Summer of 2008. The Webbs began their summer mission trip to Canada with a vacation on Prince Edward Island. While there, they preached a "get acquainted" Sunday at the Fundamental Baptist Church in Summerside. The Lord blessed the meetings with souls saved. The Webb girls enjoyed fellowshiping with the church teens. On the way from PEI to Nova Scotia for camp the Webbs stopped for Sunday meetings at Grace Baptist Church in Moncton, New Brunswick. The church is situated among beautiful birch trees. The Webbs took the opportunity to take some photos there. God blessed the day with souls saved and good decisions by believers. For the next two weeks the Webbs ministered at the Forest Glen Bible Camp near Brookfield, Nova Scotia. Week one was teen week. There were 119 campers. It was their largest teen camp ever. It was a great week. Some souls came to Christ, others settled sin issues, and still others surrendered to full time service. In the closing testimony time, there were many tears and stirred hearts. Praise God! Week two was Junior High week. The Lord blessed again with several saved and many dedications! Please pray for the churches in the Maritimes of Canada. Many have good folks but no pastors. Pray that the Lord will send forth laborers into this harvest field! 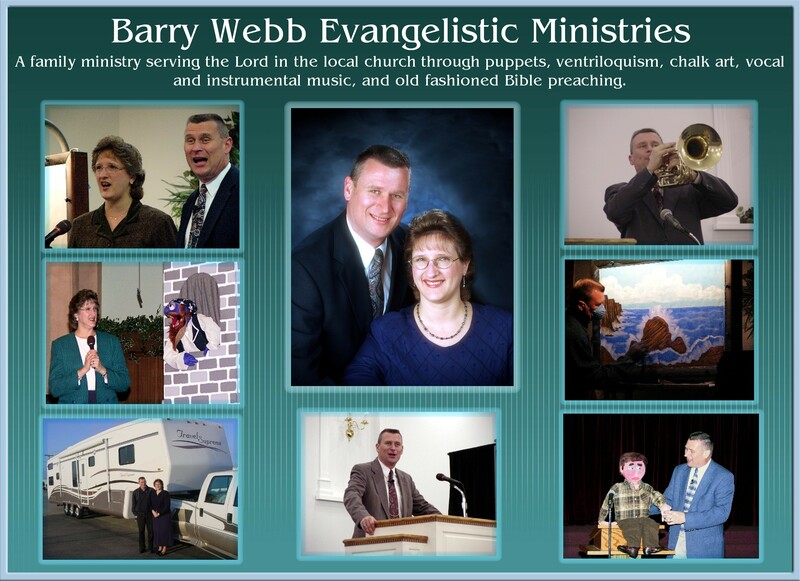 In August of 2005 the Webbs went to British Columbia for two weeks of meetings. The first week was split between two churches - Central Baptist Church, Abbotsford, and Calvary Baptist Church, Aldergrove. These two small churches are just 15 minutes apart, so they divided the week between their locations and combined their congregations. Canada is a difficult field of ministry. People are cold to the gospel, but the Webbs saw an elderly lady saved at one church, and a teen boy at the other. The other week was at Grace Baptist Church, Courtenay. The Webbs left the trailer in Aldergrove, took the ferry to Vancouver Island, and drove 72 miles to Courtenay. Though the attendance was good, and there were visitors each service, none made professions of faith. There were, however, some encouraging decisions made by believers. 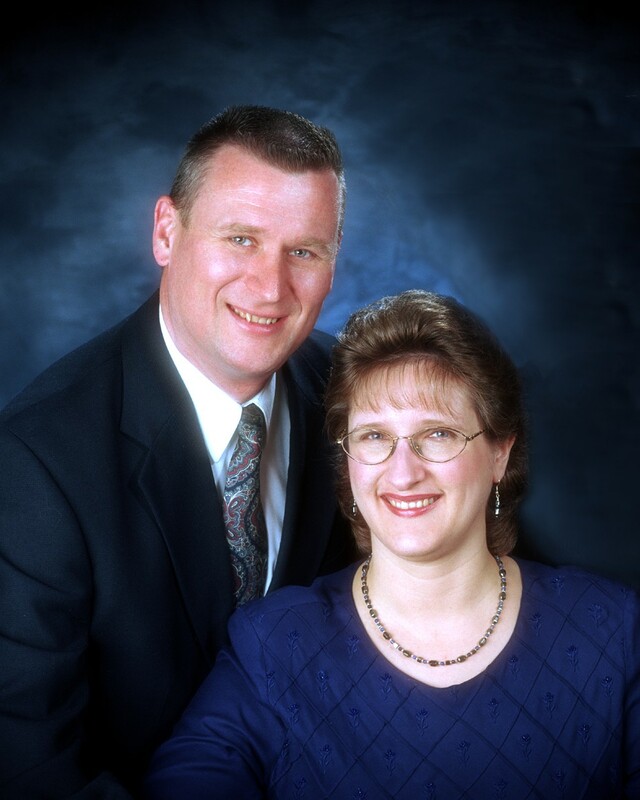 In April of 2007 Barry and Cheryl made a two week foray into Quebec to work with two sister churches in Laval. The first week was in Faith Baptist Church, an English speaking work in Laval Ouest. Missionary Steve Faucett and his family work with this church. The congregation consisted of mainly new believers and the week was primarily evangelistic. There were unbelievers in nearly every service. Barry led one elderly mother of two church ladies to the Lord in the hospital. A teen age daughter of Mrs. Faucette's coworker came to Christ. And the young son of one of the church members who is originally from Singapore also trusted Christ this week. The second week was with the The Central Baptist Church of Laval. Missionary Paul Pelletier and his family are working with this French speaking church. The puppets, chalk drawing stories and messages had to be translated into French this week. The Webbs provided mostly instrumental music throughout the meetings. Other missionaries provided most of the vocal special music. Barry and Cheryl did learn and sing one song in French. The meetings were well attended. Nine first time visitors came to the meetings. Seven had never been in a Baptist church before and most likely had never heard the gospel before. It was a great opportunity to plant the gospel seed in new soil. Since the beginning of the year the Pastor's daughter, Brittany, has been working in a local high school cafeteria, trying to put money aside for college. She is the only teenager working among several adult coworkers. She has endeavored to keep a good testimony before them. On Tuesday night four of her coworkers and one of their teenage daughters were in the meetings! They did not make any public decisions, but they heard a very clear presentation of the Gospel and so we are praying that the Lord will use the seed of His Word to work in their hearts. One returned on Wednesday night! This was a great experience for Brittany, and a good example to the church folks. If Brittany could get some of her coworkers out to church for special meetings, so can they! At least one person made a decision to accept Christ this week. A woman from the English speaking church brought her adult baby sitter to these meetings on Monday night since she understood French much better than English. She was clearly moved by the message and during the invitation she prayed the sinner's prayer in her pew. When the Pastor asked her about it later she clearly indicated that she was sincere in asking Christ to save her, for which we are extremely glad. Please pray for these ministries laboring faithfully on this very difficult field!